Xbox lovers where are thou, the Spring has officially arrived and so too has Microsoft’s Xbox Spring Sale. 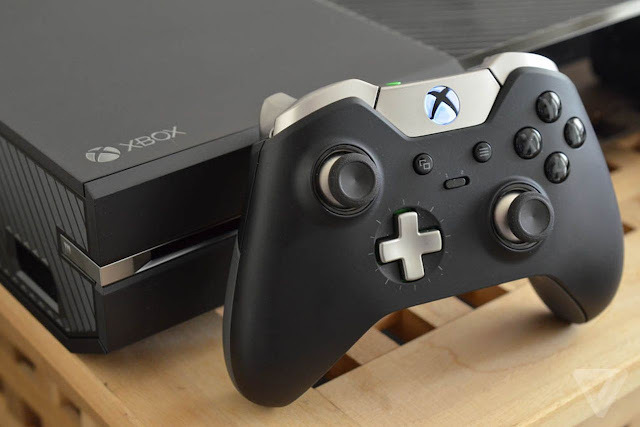 For a limited time, Microsoft is offering deep discounts on several of its most popular entertainment products including the lowest price ever for the Xbox One. From now through March 26, you can score an Xbox One console bundle for $50 off the regular price. That means you can pick up a standard 500GB bundle with your choice of Forza Motorsport 6, Rise of the Tomb Raider, Gears of War: Ultimate Edition, Rare Replay, Halo: The Master Chief Collection, The Crew, Watch Dogs, Assassin’s Creed Unity or The LEGO Movie game for $299 (regularly $349). The $50 discount is also offered on the new Quantum Break bundle, Tom Clancy’s The Division bundle, Tom Clancy’s Rainbow Six Siege bundle, the Xbox One Elite bundle and the Xbox One 1TB Holiday bundle. If you’ve been on the fence about getting an Xbox One, now is as good a time as ever to pull the trigger and save some green. Microsoft is also offering up an assortment of digital and disc-based games. Games like Halo: The Master Chief Collection, Halo 5: Guardians, Rise of the Tomb Raider, NBA 2K16, NBA Live 16, Forza Motorsport 6 and Gears of War: Ultimate Edition are all advertised at $20 off their regular prices. Microsoft says the digital deals are good from March 22 through March 28 while the disc deals can be had from now until March 26 (the NBA games are on sale through April 4). Full details on the sale including movies, TV shows, PC and Xbox 360 title sales can be found over at the Xbox Live Spring Sale website.